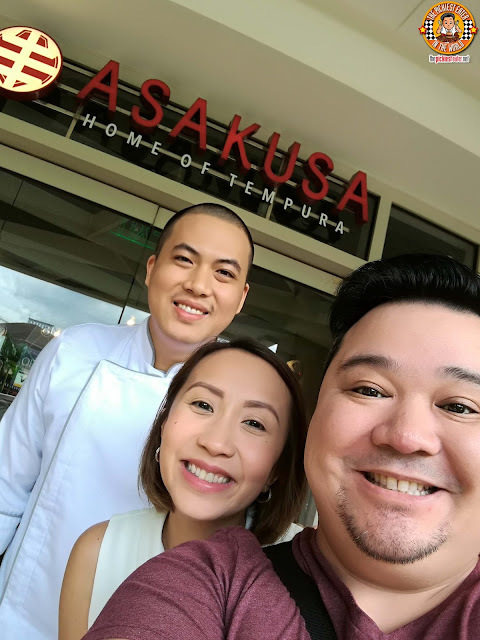 Asakusa: Home of Tempura is the brainchild of Joel and Celline Bautista. Their travels to Japan led them to a simple Mom and Pop restaurant that broke the mold of dining in Japan being delicious but expensive. Knowing full well that this was right along the palate of the Pinoys, the couple, together with partner Rolf Madrid who was living in Japan at that time, spoke to the owners of the restaurant about the possibility of bringing their Tempura to the Philippines. 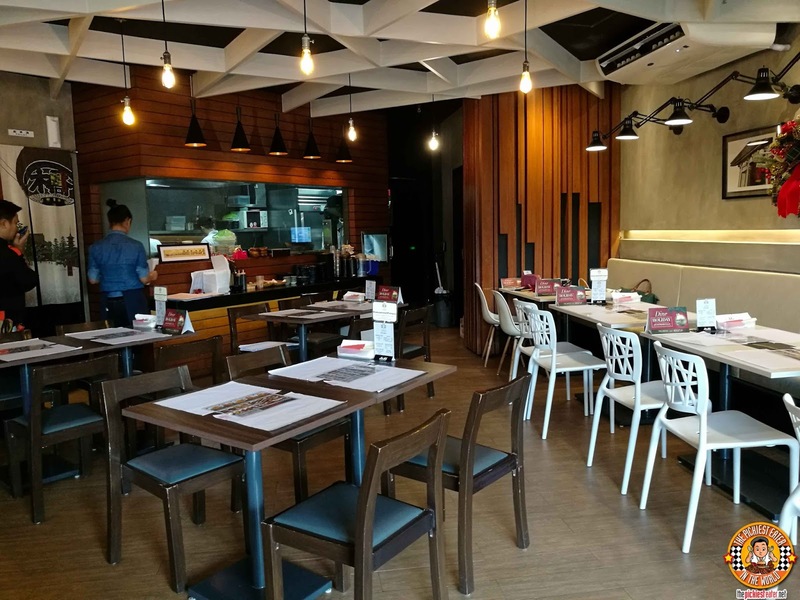 After going training on the basic fundamentals of the art of Tempura cooking, the group embarked on the restaurant venture they called, "Asakusa", after the district in which they discovered their favorite tempura. The first item brought to us was the Spicy Tuna Salad (P 198). Being picky and all, I can sa that I'm not a fan of raw food or even salads for that matter, so I had to skip this.. Much to the delight of my seatmate, Dude4Food ("Bro, you gonna eat that?"). However, as a lover of food, I couldn't help but appreciate the effort it took to compose such a wonderful looking dish. Chunks of fresh tuna or slathered in a creamy Japanese Mayo, and alid over a bed of fresh vegetables, with a generous helping of chili flakes sprinkled over it. You're offered a menagerie of flavors and textures with every bite you take. If you're into salads and sashimi, this is a starter that you might want to begin with. Whenever I'm at a Japanese restaurant, I try hard to resist ordering Chicken Karaage. Why? Because I try to go for the more traditional "Japanese-y" type of dishes. No one country has claim to those beautiful deep fried chicken cutlets, right? 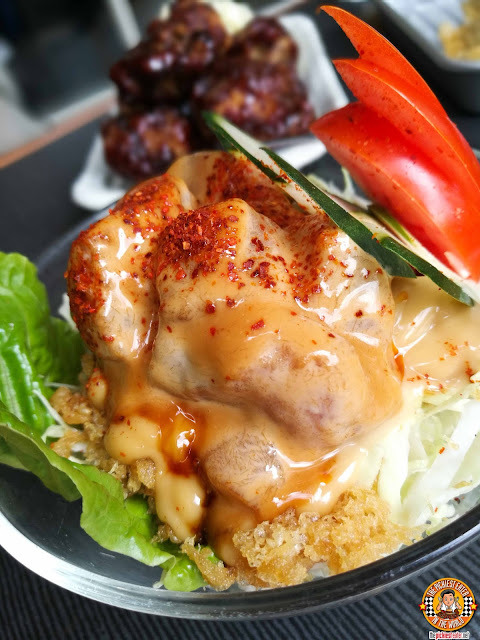 However, Asakusa found a way to put a definitive stamp on their Chicken Teriyaki Karaage (P288), making it unmistakably Japanese. 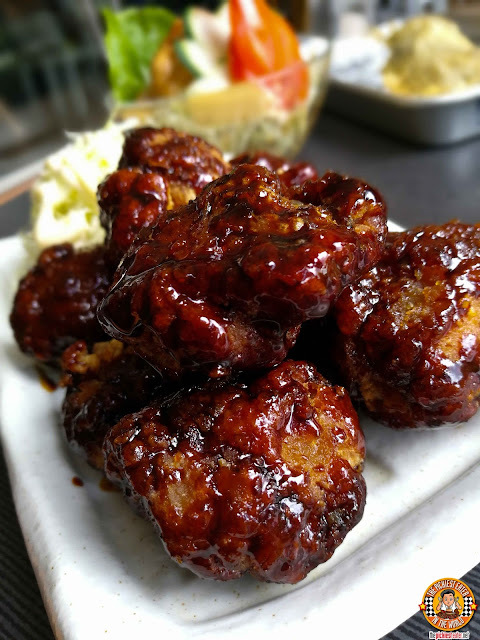 Those golden cutlets of juicy chicken are coated in a beautiful sweet meets soy glaze, giving it the delicious vibrance of Teriyaki that we all know and love. One of the most alluring novelties of Asakusa House of Tempura, is how they give you the flexibility of composing your Tempura Platter. 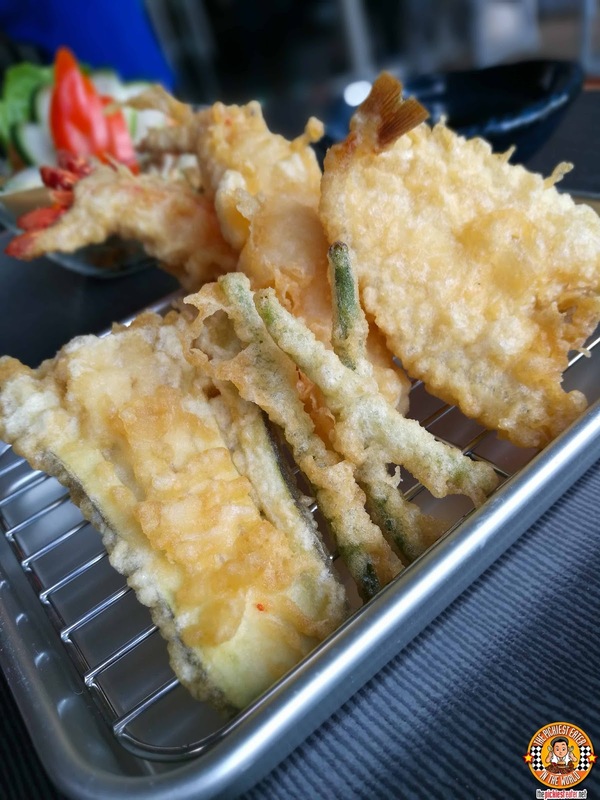 by offering a wide range of Tempura choices, available per piece. The selection ranges from Prawn, to Scallops, and even the popular Shitake mushroom (Ala Carte P60). 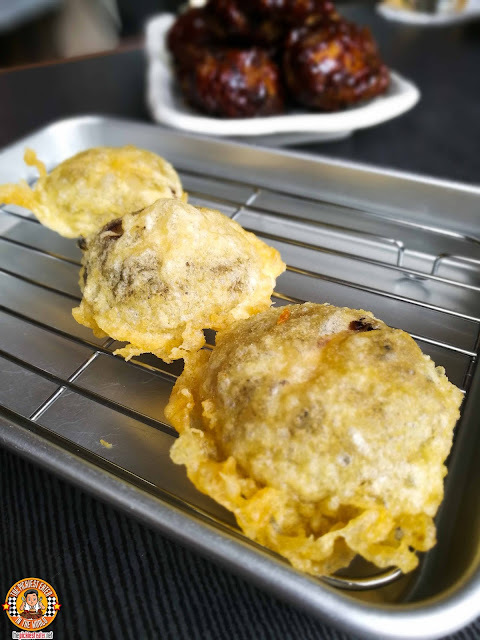 The plump, juicy mushrooms are covered in Asakusa's signature Japanese Breadcrumb Batter, then dropped in the deep fryer, creating a magnificent golden tone to it. If you're struggling to decide on what to order, Asakusa has a five different Tempura set meals for you to choose from! We tried the Samurai Set (P338), which included a Black Tiger Prawn, Fish, Squid, Eggplant, Squash and French Beans. Each component was deep fried to glorious perfection, allowing the crispiness of the batter to compliment the natural flavor of its protein, rather than hinder it. What takes Asakusa's tempura to the next level, is their special Asakusa Sauce, which was developed specifically for the restaurant, and you may very well never use the traditional tempura sauce ever again once you've tried it. Asakusa's Prawn Tempura seriously makes a good case for being among the best in the metro. 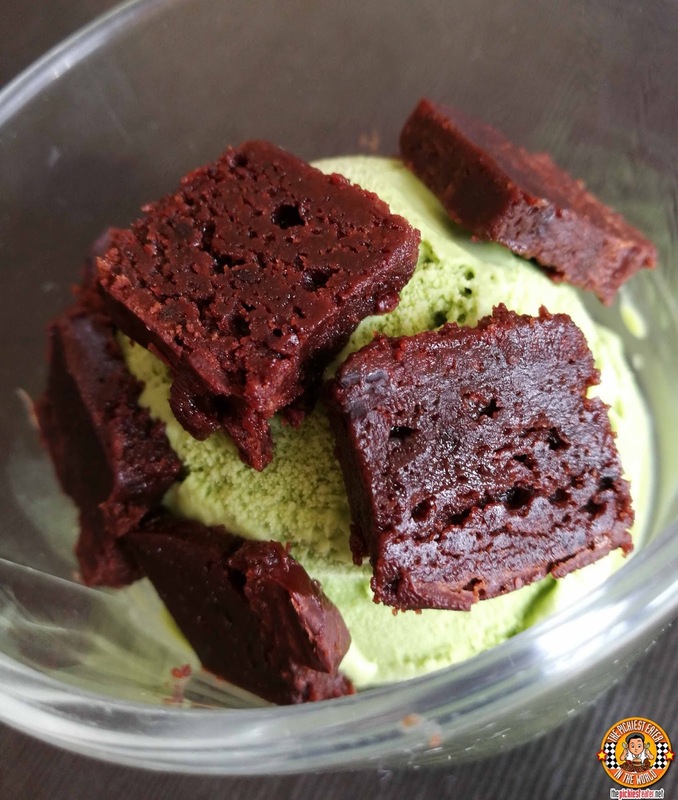 For dessert, you can choose between the Coffee Jelly or the Valrhona Chocolate Brownies with Green Tea Ice Cream (P148). The bitterness of the chocolate played off the creaminess of the ice cream, with the matcha tantalizing your taste buds with an earthy finish. Not a big fan of Matcha so I focused on those moist brownies, which were divine. With its delicious, authentic Tempura dishes and other Japanese favorites,, reasonable prices and pleasant ambiance, Asakusa is a great place to bring a date or even your family! Like Asakusa: Home of Tempura on Facebook!